﻿ Hotel Canton, Barcelona | FROM $46 - SAVE ON AGODA! "Reception staff were very good and the room was perfect with..."
Have a question for Hotel Canton? "Our room was clean and surprisingly spacious, larger than we expected, fridge in the room was handy." "Great little hotel in a fantastic central location in Barcelona." "No thrill, nice beds, great lacation"
Renovated in 2010, Hotel Canton guarantees guests a pleasant stay whether in Barcelona for business or pleasure. 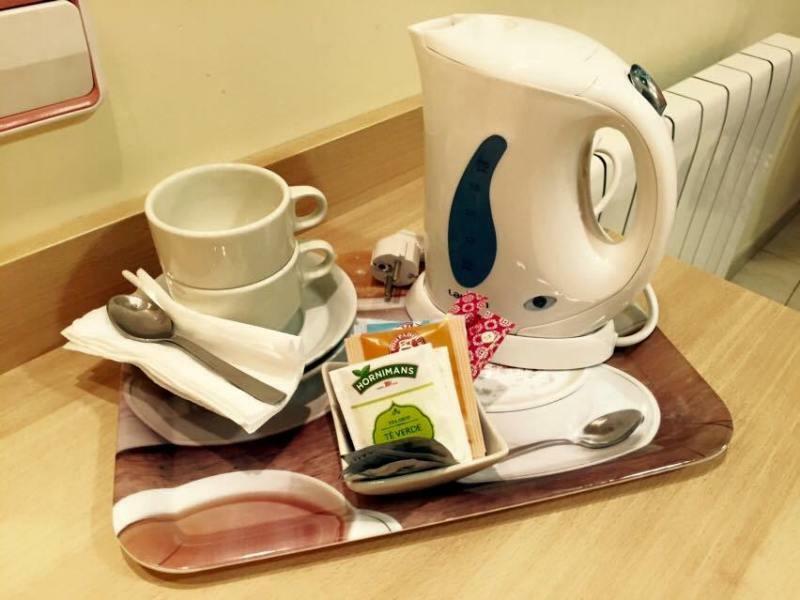 The hotel provides accessibility to important town facilities. For those of you who want to venture out, Museu de Cera, Església de la Mercè, and Centre d’Art Santa Mònica are just some of the attractions available to visitors. Offering hotel guests superior services and a broad range of amenities, Hotel Canton is committed to ensuring that your stay is as comfortable as possible. To name a few of the hotel's facilities, there are concierge, Wi-Fi in public areas, elevator, and airport transfers. Guests can choose from 47 rooms, all of which exude an atmosphere of total peace and harmony. Hotel Canton is an ideal place of stay for travelers seeking charm, comfort, and convenience in Barcelona. "Hotel is in great location in Gotic quater close to tube, La..."
Stayed for 2 nights on my own, room 307. Reception staff were very good and the room was perfect with a large bathroom, a good size balcony and a very comfy bed. I would stay here again. Handily placed for gothic quarter/waterfront; efficient and clean; friendly and helpful staff. 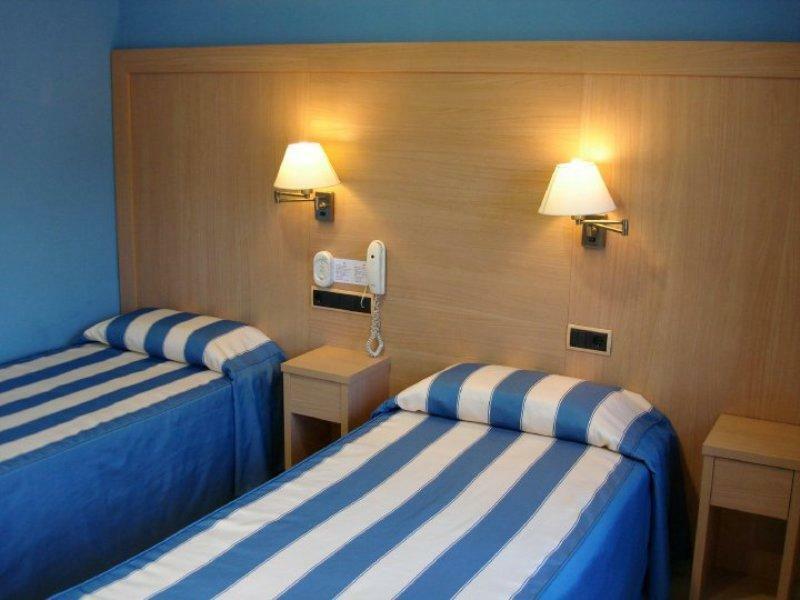 Hotel is in great location in Gotic quater close to tube, La Rambla, beach and sight seeings. Our room was clean and surprisingly spacious, larger than we expected, fridge in the room was handy. The only downside was weak wifi which didn t work in the room. Otherwise everything was perfect including staff who were very helpful. The hotel was a short taxi ride from the cruise terminal,about 14Euros including luggage charge.it is only a few minutes walk to las Ramblas and the Drassanes metro which linked well with other lines. Room was comfortable and breakfast was okay.only problem we had was the Internet would not connect in our room but did in the foyer. I liked the location but felt the staff wasn't welcoming. The bathroom was moldy smelling and the soap provided was inadequate. But the worst was dogs and people talking late into the night along with constant street noise and no working air conditioning to block the noise. A proper Barcelona hotel in an excellent location with clean, comfortable rooms, great staff, fast reliable wifi. I loved staying here, and will be back. The hotel is in great location, just minutes away from La Ramblas. I got a room facing to the street, be prepared to get some noise from outside. The bathroom was excellent, I didn't expect to be that good. Their staff was really nice, they understand and speak english pretty well. Great value for money accommodation. Better than I expected for a 1 star hotel. My room was very quiet - so quiet and dark that I didn't wake up until 11:30am one day! Polite and informative reception staff. Everything was clean. I didn't eat the breakfast there. Easy to get around from. I only stayed for 1 night before meeting up with friends the next morning but it was a nice hotel with a balcony, not a far walk from the beach, lots of restaurants, shops etc. The staff were very helpful and could speak most languages. We were permitted to check in early, and the Hotel Canton was happy to store our bags on our last day, until it was time for our train. The location was so perfect that it was convenient to return to the hotel for our bags. We did not partake of the breakfast, as we had plans that had us up early and out of the hotel before breakfast was served. However, the staff made excellent recommendations for nearby restaurants that offered good food, good quantity, good value, that we took advantage of for other meals. The staff was helpful with directions and other information we required for our visit. The location was easy access to Las Ramblas, the train station, the neighborhoods of Barrio Gotica and El Born. We were able to walk to many of the sights we wished to see, including the beach, and were just short metro rides away from others. Our room was super clean, the bathroom up-to-date and well-appointed. It met our every need.